During the First World War the women who stayed at home wanted to assist with the war effort. One of the ways that they could do this was to help organisations such as the Red Cross. 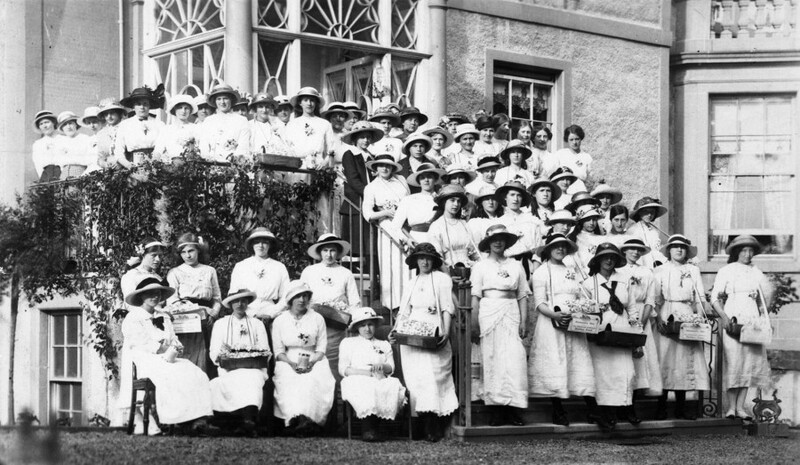 The ladies in this photograph are Red Cross Collectors and are posed on the steps of Johnston Lodge, Stonehaven.